The Ronald McDonald House provides precious moments together for a family with too little time left. 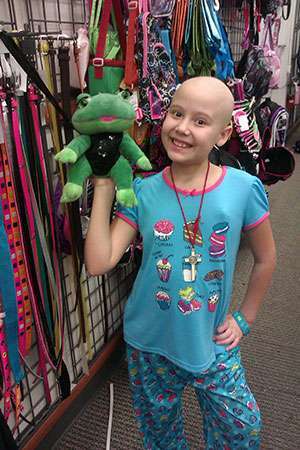 Ten year old Carmen was a sweet child with a cheerful, dazzling personality, whose smile and laughter was contagious. 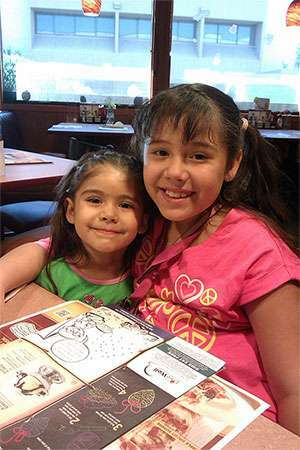 Whether she was playing the piano at the Ronald McDonald House or conspiring with her little sister, Guadalupe, to hide sticky notes with the message, “I <3 U” for her favorite staff members to find, Carmen always cheered up everyone around her. If it weren’t for her shaved head, you would have thought Carmen was like any young girl her age. Unfortunately, Carmen had cancer…which she bravely fought to remission during her family’s first visits to the House back in 2008. But the deadly disease reared its ugly head again in 2014. 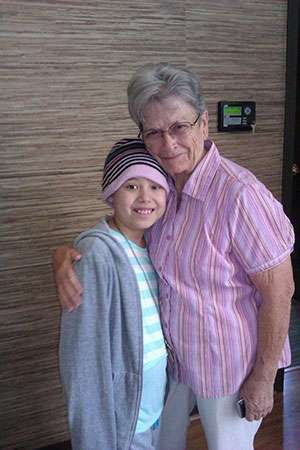 And her family, once again, came to stay at the Ronald McDonald House while Carmen underwent that achingly familiar chemotherapy. 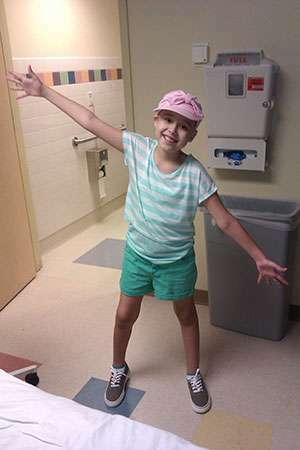 Amazingly, throughout months of grueling treatments, Carmen’s bubbly personality and optimism brought smiles to everyone in the hospital and the House who came to know and love her. As those months of exhausting treatments dragged on, the Ronald McDonald House provided a comfortable and supportive place for Carmen’s parents, grandparents, older brother, and younger sister to stay, without the burden of paying for costly hotel rooms and meals every day. In spite of their own struggles, Carmen’s family always encouraged other families in the House to stay positive and strong. Just when it seemed like Carmen’s health was turning a corner for the good, she suddenly developed a serious infection. Sadly, Carmen passed away quietly one night, with her family by her side. As Carmen’s adopted family, our House staff rallied to embrace them. We opened our doors to Carmen’s extended family to make the most of what time they did have left with her, and to even create some cherished memories along the way. Carmen’s life ended all too early, but her brave spirit and optimistic nature has left a lasting impression on our staff and other families here at the House. It is a reminder of why the mission of the Ronald McDonald House is so very important. We may not be able to provide our families with a cure, but what we can give them is precious time together. Here at the Ronald McDonald House we strive to make our families as comfortable as possible, so that their child has the full and undivided attention of the ones they love most in this world. And cure, or no cure, that is the best medicine any child could ever receive.